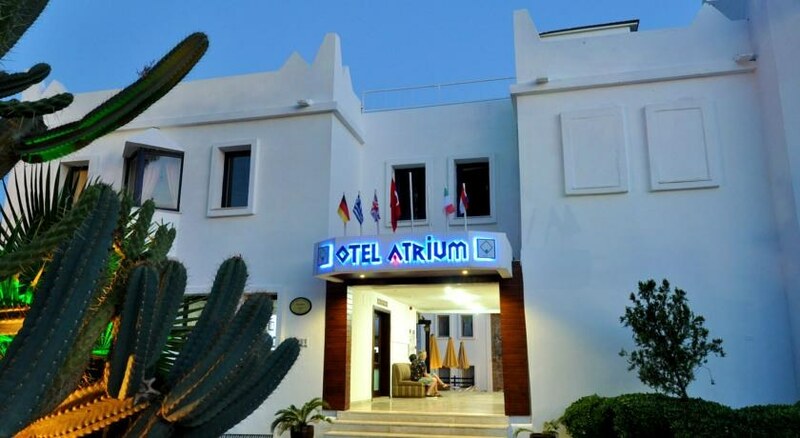 Suitable for friends, couples, singles and families, Hotel Atrium is a pocket friendly hotel located only five minutes from the beach. The hotel is peaceful and surrounded by lashing greens in all sides. It offers a friendly vibe but it’s quite fancy as Hotel Atrium is equipped with all modern facilities. The USP of the hotel is certainly the simplicity, cleanliness and and the amicable budget. The state-of-the-art in the rooms includes air-conditioning/heating and modern private bathrooms. Each room is tastefully designed to offer a modern look. 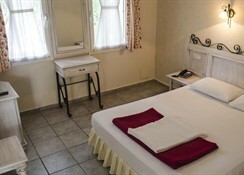 The rooms are spacious, neat, well lit and furnished with dark-wood furniture. Basic facilities in the room include; balcony, TV with satellite connection, hairdryer, telephone and a mini-fridge. Some rooms come with extra amenities to meet the comfort of its guests. The hotel has 57 rooms classified into junior suites (four rooms), studios (four rooms) and double rooms (48 rooms). Atrium also houses a restaurant that serves buffet breakfast, and in the evening it serves from the a la carte menu. It features traditional Turkish cuisine, made from fresh local ingredients. It also has an American bar at the poolside that provides alcoholic and non- alcoholic beverages during the day time. And on the terrace, it has a bar that offers a panoramic view of Bodrum; this is the place to spend the evening after dinner. Hotel Atrium is furnished with a 24x7 front-desk, express check-in & check-out, currency exchange, tour desk, safety deposit box, common areas, laundry service, luggage room, non-smoking area, free WiFi connection, table tennis room, fitness centre and even a conference room. It also has an outdoor pool fitted with parasols and sun loungers. And for families travelling with children below 24 months, the hotel provides free cribs. 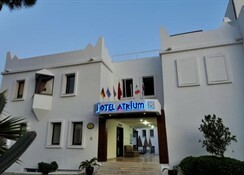 The hotel is located only 300 metres away from the Bodrum Municipality Bus Station. The property is also located only 350 meters away from the beach, which most tourists would have to take a bus to reach the spot. Evenings are pleasant as Bodrum has many bars, restaurants and hundreds of shops, which are just a stone throw away from Hotel Atrium. Bodrum also has boats of all sizes in case you want to go fishing or a trip.